Prime Minister reveals that law to apply Israeli sovereignty to Judea and Samaria being discussed with Trump administration. 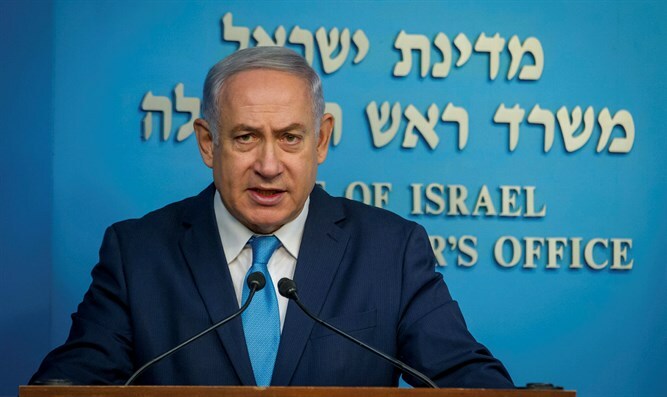 Israeli’s Likud-led coalition government is discussing a bill which would extend Israeli sovereignty to Judea and Samaria with members of the Trump administration, Prime Minister Binyamin Netanyahu revealed on Monday. The proposed law, which would provide a framework for applying Israeli sovereignty to Israeli towns in Judea and Samaria, is the latest piece of legislation being promoted by the Land of Israel Lobby, headed by MK Yoav Kish (Likud). While the Likud Central Committee unanimously adopted the application of Israeli sovereignty over Jewish towns in Judea and Samaria as a plank in the party’s platform, last week the Prime Minister took Kish’s “Sovereignty Law” off the powerful Ministerial Committee for Legislation’s agenda last week, saying that he needed to coordinate with the Trump administration. On Sunday, the Ministerial Committee for Legislation, which meets every Sunday to grant or deny coalition backing for upcoming bills, agreed to delay discussion on the much-anticipated “Sovereignty Law” due to the clashes with Syrian forces over the weekend. A day later, Netanyahu revealed at a Likud faction meeting that he has been in contact with senior US officials regarding the proposed law.